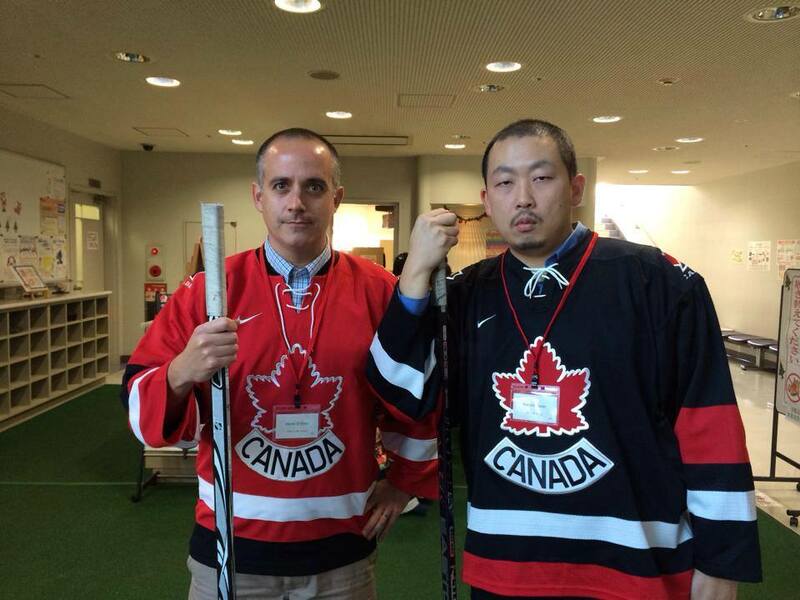 In Episode 82 of the Just Japan Podcast, host Kevin O’Shea chats with Canadian expat Patrick Kwan about playing ice hockey in Japan. Patrick started playing hockey at the age of 6 in Victoria, British Columbia. When he moved to Japan several years ago as a member of the JET Program he made sure to bring his hockey bag filled with equipment with him. He has been playing ice hockey here ever since. He currently plays with 2 teams in the Kansai area. Have you ever thought about playing hockey in Japan? Do Japanese people like the sport? Is it possible to learn the game in Japan? Can you buy hockey equipment in Japan? You’ll find out in this week’s episode! Just Japan Podcast host Kevin O’Shea with Patrick Kwan. This was at an English language event when we worked together for the City of Osaka. Representin Canada! Check out the new “Luck of Japan” Etsy shop to pick up some cool Japan goods! Check me out on YouTube (BusanKevin) and (jlandkev). Next Just Japan Podcast 83: Snacks, Snacks, Snacks!